This new 'Tabla' remake takes on a legendary song and makes it come alive, again. Back in the 70’s, when album-oriented rock music was starting to explode, the song Hotel California, which was on the top of US singles chart, not only bagged a Grammy for ‘record of the year’ but it also got ‘The Eagles’ their greatest critical and commercial success of all time. Even now, after nearly four decades, the song is as euphonious as ever. 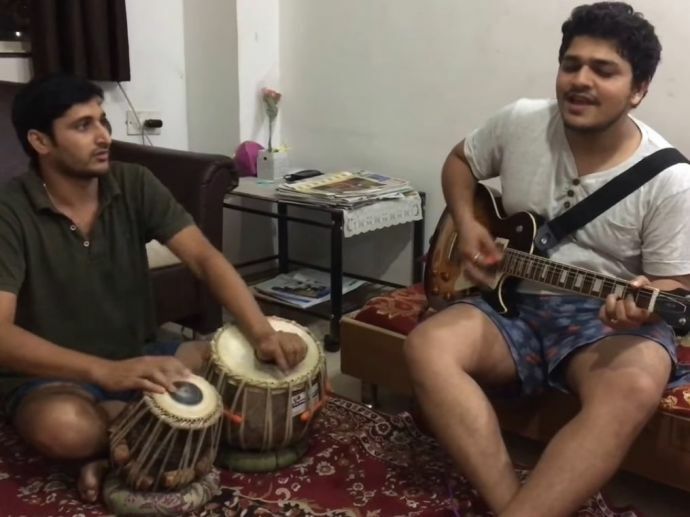 This new ‘tabla’ version by these two "Chaddi Buddies" is simply mellifluous and will ostensibly make you remember the old time.